JetBlue is often credited with raising the bar for the in-flight experience on board a low-cost airline. In addition to comfort advances and customer service innovations, the airline was one of the first to offer personalized in-flight entertainment for all passengers. Now they are strategically partnering with a host of established brands to position you to unlock a virtual treasure trove of promotional rewards and bonus points. Once you’re registered as a TrueBlue member, you can earn thousands of points on car rentals and hotel stays in the coming months. To nab 500 points, sign up with Zipcar by the end of the year. As a TrueBlue member, you’re eligible for the discounted annual fee of $70 plus a one-time application payment of $25, for a total of $95. Zipcar reservations includes gas and insurance. Rental options include hybrids, luxury cars, sedans and SUV’s that can be booked on an hourly basis or by the day. You also receive a $50 driving coupon for the initial 30 days of membership. If Zipcar is too much commitment, you can still earn with more traditional car rental companies. From now through early summer you can tally 5x the bonus points and get rental discounts ranging from 30 to 35 percent on a qualifying rental of three or more days from Avis, Budget or Hertz. Just make sure you present the right code to obtain the full time and mileage charges discount. You can find them at the link above. Honing in on some slick lodgings might be on your agenda. Multiply your JetBlue points by three when you book at any of the Morgans Hotel Group properties. Choose from locations in Los Angeles, San Francisco, New York, South Beach or across the pond in London. You will also receive a $50 credit towards food and drink. Ever fantasize about being bicoastal a la Don Draper in season six of Mad Men? Well now JetBlue is providing you with the necessary incentive. Earn double the points when you fly coast-to-coast, between JFK and LAX or between JFK and SFO. Both one-way and round trip tickets qualify. Do you fancy earning substantial mileage without leaving the confines of your own home? 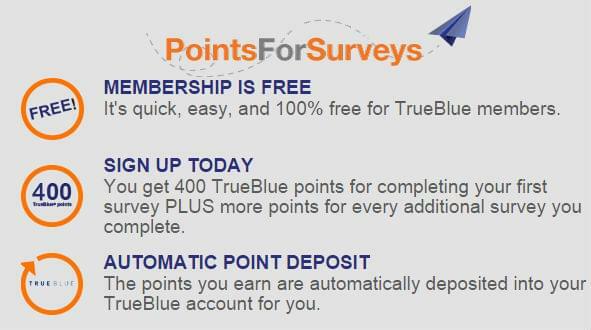 This can be achieved by signing up to complete surveys as part of Points for Surveys’ TrueBlue member panel. You will earn 400 points for your first survey and additional points for each submission thereafter. Do surveys require too much effort? How about being compensated for browsing the web? Microsoft’s search engine Bing has paired with JetBlue to make their credits transferable. So when you sign up for Bing rewards credits and have your search engine tracked and monitored, you can earn points. 400 Bing rewards credits that can be redeemed for 100 TrueBlue points. Since you are sitting at home anyway, why not implement a SunPower Solar System for the betterment of mankind? It doesn’t hurt that you’ll be banking some major TrueBlue points in the process. Gain an impressive 40,000 points when you purchase the renewable technology for your property or 25,000 points if you lease. All of this suggests that spring is the season to join JetBlue’s loyalty program for the myriad opportunities to increase your points profile and achieve what every weary traveler muses about: free flights.